Riesling vineyards were fertile in 2016, but clusters and berries stayed small. Many people working in the vineyards will remember the very wet spring of 2016 for a long time! However, summer and autumn that followed were amongst the driest we had in Alsace. The Riesling matured nicely in 2016 without gaining rich alcohol potential. At some stage we almost worried when the vines were in a standstill middle September. 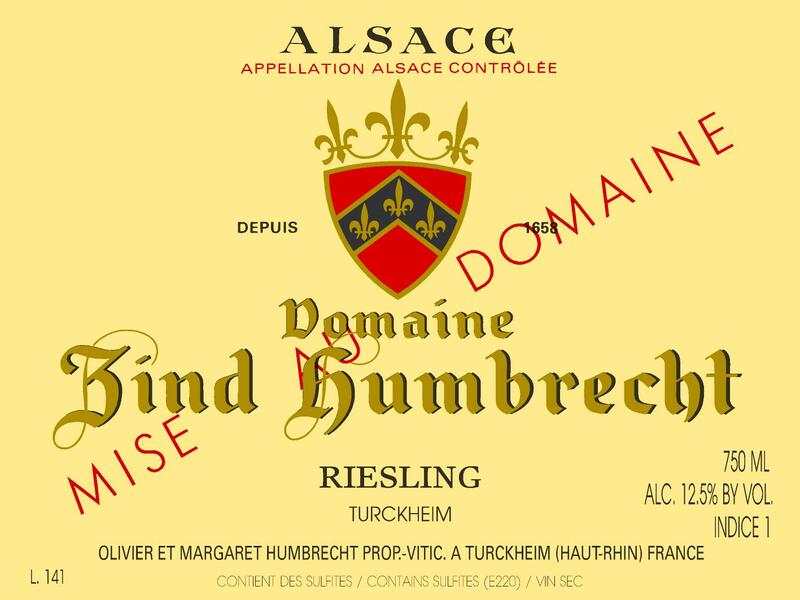 The Riesling Turckheim (lot 140) is located on the more gravelly part of the Herrenweg, which is slightly more precocious and warmer, producing very expressive styles of Riesling. This cask fermented faster, finished completely dry, and we were able to bottle it earlier than most Riesling that often tend to take over a full year to complete fermentation. 9/2017: bright pale yellow/green colour. The nose is very expressive, showing intense fruit and citrus aromatics. It is hard to believe that this wine is so dry! The palate shows a delicate zesty texture. The acidity is ripe, salivating, not overpowering, and allowing the wine to finish on an elegant classic touch. It is already very approachable and perfect for those looking for a lighter alcohol, but full flavored, style of wine.